I took pics of my stash before we left on our trip, for insurance purposes. I figured if my office was robbed, no one would believe my claim. Do you need some help smoking that down? Surely, 150 lbs is far too great for two men. Perhaps, three is enough. Or four. So long as you stop calling me Shirley. Still can't get over a pipe tobacco cellar with 150 pounds. I recently got only a 500 gram (17.6 ounce) box of Gawith Hoggarth Brown Flake,... which isn't much, for as much as I like, and smoke it. Cigarson was home for a visit, and we stepped downstairs to pick out something special to smoke. 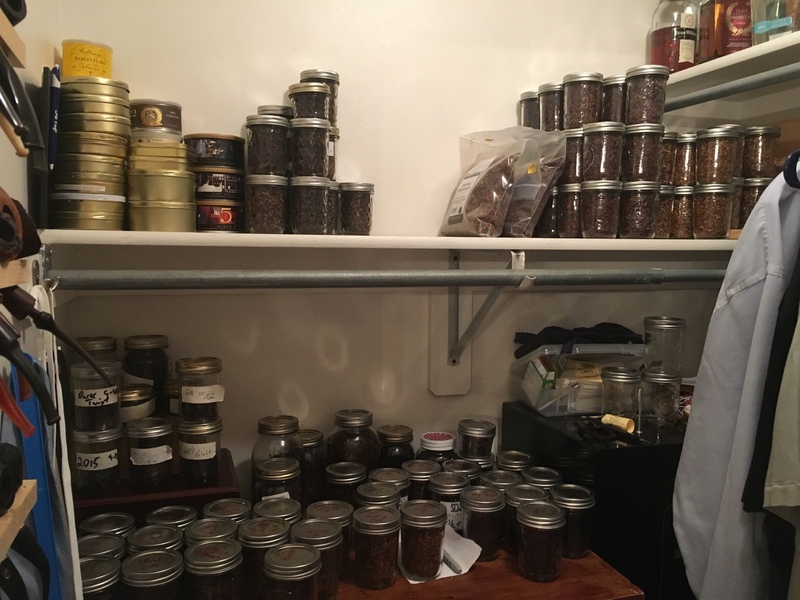 After a bit of shopping through the inventory, Cigarson said, "I like looking at tobacco." I remember reading this post & thinking how charming and heartwarming it is. You painted a picture with words very well. Dude. Really? Isn't the TRO you had servered on me enough? 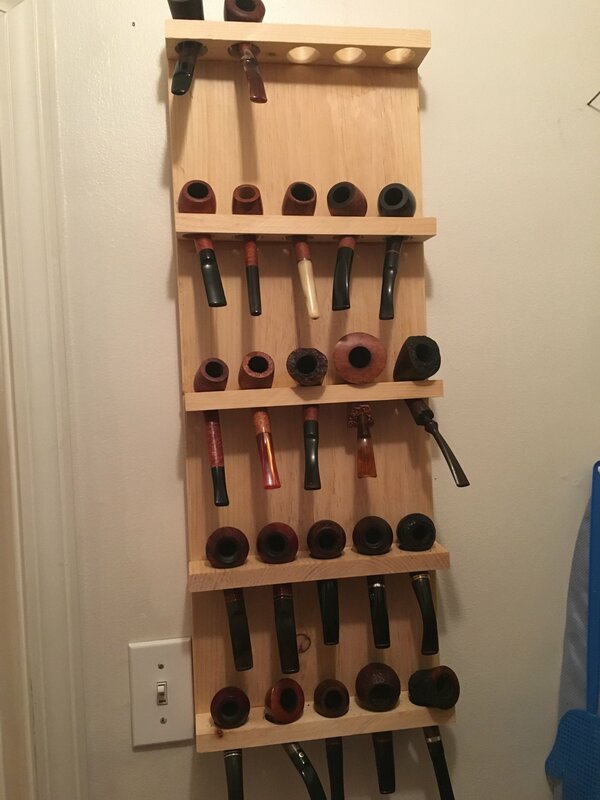 There are Ebayers selling aged pipe tobaccos. Any other thief probably wouldn't see the value. I hope you knocked on wood when you said/typed that. Lets hope that Ebayers haven't begun "breaking and entering." I’ve got four more pounds to jar. It’s a joy. Wowser. You are stockpiled! You're a pipe smoker, to be sure.